It takes a village…. To raise a house. I can remember my first Master Awards Gala in 2008 like it was yesterday. As a new home builder, we walked into this room full of recognizable home builders and industry trades who had been in the business for years. They were being celebrated for their hard work and dedication to beautifying and diversifying Regina’s neighbourhoods, both new and old. It was my dream to one day be recognized among these fabulous builders… and this past Saturday we were. The old saying it takes a village to raise a child works for home building too. 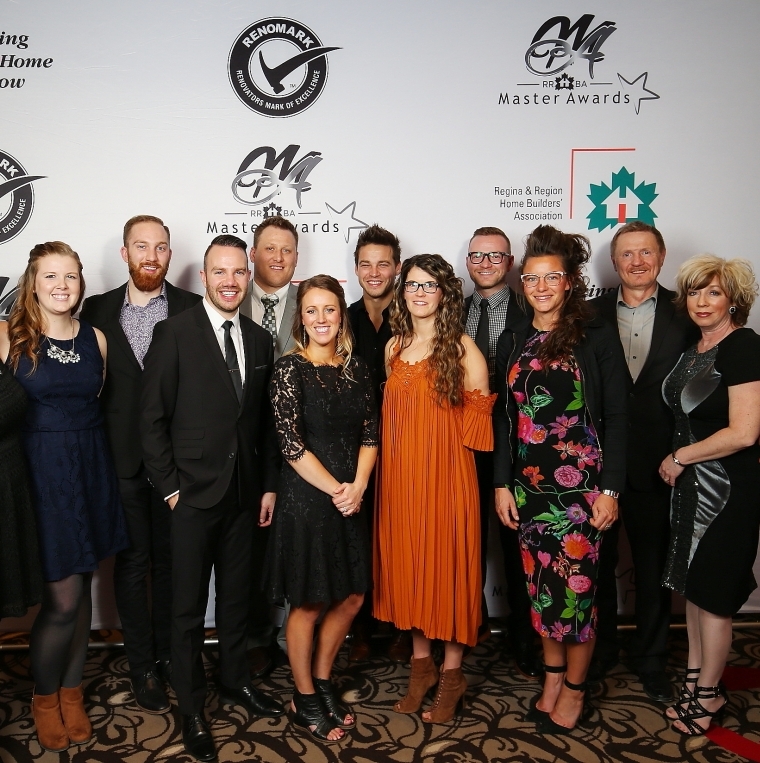 As I walked into the awards gala on Saturday evening I looked around the room and was struck by how many individuals and trade partners it takes to construct a home. From the Regina & Region Home Builder Association, developers, surveyors, trades people, to the actual home builders staff there are many moving parts that need to come together to make a build a success. I would like to thank all the wonderful trade partners that work along side us each day and played an important role in the wonderful year Trademark had in 2016. 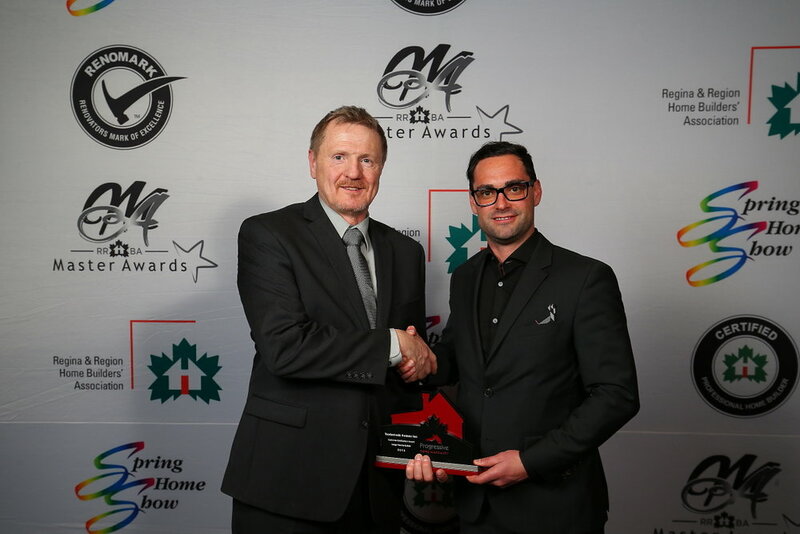 We were nominated as finalists in 12 award categories including one of three finalists for Home Builder of the Year. With so many talented builders in Regina we don’t take these nominations lightly. It is an absolute dream come true to see our company’s name come across the screen 14 times (we were double nominated 2 times!!) with people we have looked up to for the past decade. 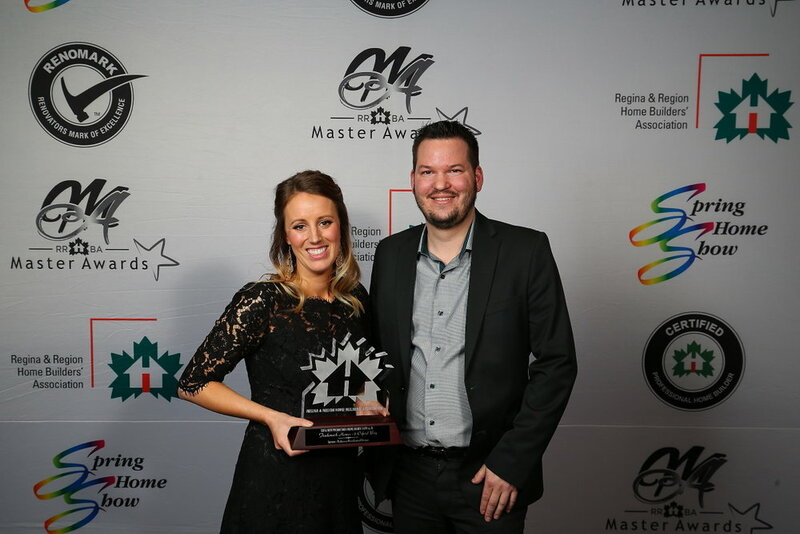 That night we took home awards for Best Marketing, Best Production Home Under 1499 square feet (6 Oxford Bay), and the one that matters most… the Customer Service Award for Large Volume Builder. So, I just wanted to say, thank-you, Regina. Thanks for being a city that supports locally owned and operated home builders. Thanks for supporting young entrepreneurs and challenging us to be innovative and design focused in our homes. We look forward to another great year in 2017! Older PostWe're Growing : Now Hiring Showhome Hosts!